From the cascading rice terraces of Sapa, to the islands of Ha Long Bay, caves of Phong Nha, mountains of Da Lat, the sand dunes of Mui Ne, and the maze of rivers and rice paddies of the Mekong Delta, Vietnam has a diverse offering of bucket list attractions to offer travelers. Here we have mentioned all the best places in the country to go explore, so you can make yourself an itinerary that will exhaust your 30-day visa. Happy travels! The chaotic capital of Vietnam is a great place to start your journey, or end it, depending on whether you plan your backpacking trip from the north to the south or vice versa. Upon landing, what will scare you most is probably the overwhelming amount of motorbikes on the streets, and you’ll suddenly feel like a five-year-old again, hoping an adult will hold your hand while you cross the street. But don’t worry, you get used to it. The city has many attractions to see, most of which are lakes, pagodas and museums, and of course, the Old Quarter. It might be a good idea to spend two days here, just to acclimate. What makes Hanoi great is that, as a central hub, you can easily catch transport to the rest of the region. Make sure you try a bowl of pho before you leave though. Sapa is Vietnam’s premier trekking base and you can not leave the country without at least a day of hiking through the rice terraces, lush valleys and endless karst peaks of the region. Include Heavens Gate, Mount Fansipan (the highest peak of Indochina) and Muong Hoa Valley in your itinerary, and you’re good to go. Instead of booking a boring hotel, strip back the comfort and spend the night in a village homestay with a tribal family to truly experience the real Sapa. Let them show you what their day-to-day life is like up in the north. “Happy water” (home made rice wine) is a huge part of it, and it’s a lot of fun till it’s not. Check out Sapa O’Chau Travel Enterprise for authentic tours into the region. Ha Long Bay, crowned one of the new seven natural wonders of the world, is the epitome of Vietnamese coastline, with its thousands of limestone karst peaks jutting out of its emerald waters and the hundreds of uninhabited islands topped with dense jungle, scattered around the bay. Taking a tour here is the easiest way to get around as it is a UNESCO Heritage protected site, and most are all-inclusive, with drinks and water activities usually coming at an extra cost. 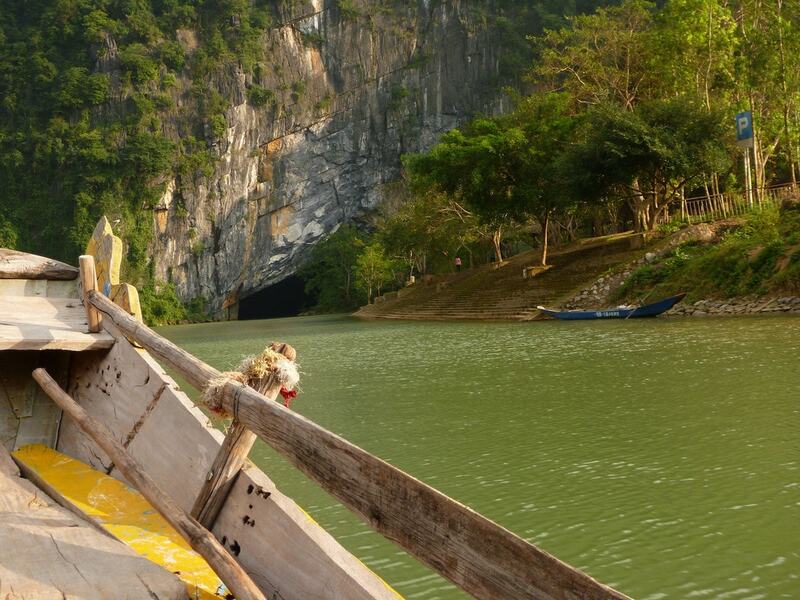 Check out Cat Ba National Park, explore Dau Go cave, and make sure you go kayaking! You can get to Ninh Binh directly from Ha Long Bay if you do not wish to go back to Hanoi. Often referred to as the “Ha Long Bay on land,” Ninh Binh is another fantastic destination to surround yourself with Vietnam’s amazingly lush nature. There are four areas of interest here; Tam Coc, Trang An, Van Long Nature Reserve and Cuc Phuong National Park, the last of which is awesome for camping. Don’t spend less than two days here as there is a lot of mountains, rivers, caves, peaks, ancient pagodas, and goats to take in. Yes, goats. In Phong Nha, as usual, there is spectacular scenery above ground, but what is even more jaw-dropping here is what is found underground. Phong Nha is known for its numerous caves and the world’s largest cave system, Hang Son Doong, is located here. Sadly, you probably won’t be exploring that anytime soon as it costs a staggering $3,000 for an excursion here by Oxalis which is the only company allowed to offer expeditions into the cave and area. Plus, not to mention, there’s a two or so year waiting list. Don’t let this dishearten you though as you can opt for Hang En cave, the third largest in the world, or Paradise Cave. The Phong Nha Ke Bang national park is also the largest in Vietnam, and home to the last wild populations of black bears, elephants and tigers in Vietnam, so you may want to curb the backpacker instincts of wanting to wander off alone. This stop should be a mix between Da Nang and Hoi An, but you should stay and spend most of your time exploring the latter, as it is not an ordinary coastal city like Da Nang. There are plenty of places to explore in Hoi An – from bronze casting, pottery, coconut and fishing villages in the outskirts of the city and An Bang/Cua Dai beach on the opposite coast to Tra Que vegetable village, the first organic vegetable village in Vietnam, and of course, the enchanting UNESCO World Heritage protected Ancient Town. You can also get something tailored while here. Check out BeBe Tailor, who can do just about anything. From Hoi An you can take day trips to Da Nang, where you can spend some time exploring the Marble Mountains and My Son Temples. The beaches in Da Nang aren’t too bad either, but the ones in Hoi An are a calmer, more local option. If you don’t drive a motorbike, make sure to book an easyrider in Da Nang and take the Hai Van Pass through mountains and along the coast, up to Hue, where there is a bunch of things to see, namely the Imperial City, the former capital of Vietnam. Nha Trang is a good luxury mid-stop in your travels. Indulge in one of the high rise hotels or beachside resorts and spoil yourself in this town. It’s the perfect way to take a break from traveling as it can get exhausting. You can do some hiking, shopping and partying here and of course partake in lots of beach activities. Nha Trang is the diving capital of Vietnam and defends the title well. After the hot and humid beaches of Nha Trang, the cool weather of Da Lat is welcoming change. The best things to do here is to rent a bike and explore the many waterfalls Da Lat is famous for. 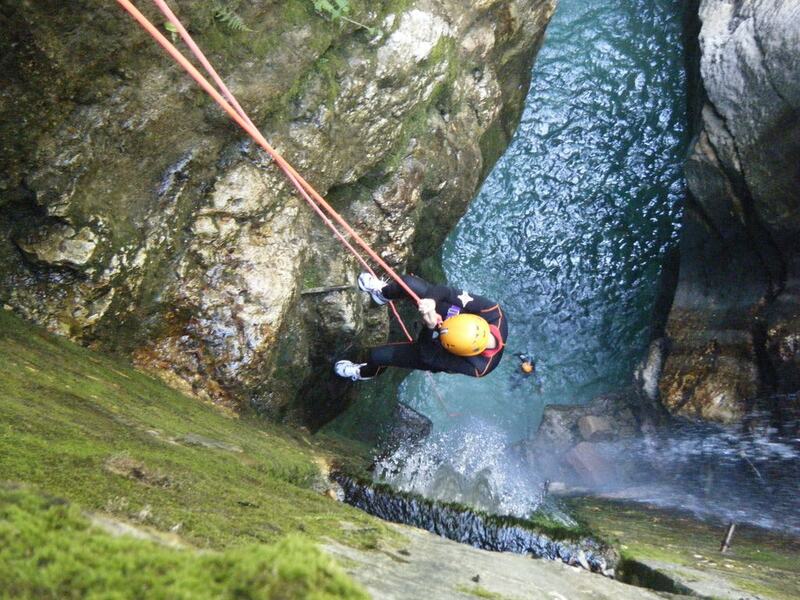 A popular activity is canyoning, or rappelling up a waterfall, and then jumping into it. You can check out Da Lat Canyoning Tours for more information. 100 Roofs Café and Crazy House are also worth a visit. While Hanoi is the more cultural hub of Vietnam, Ho Chi Minh City is the international one. Within the city are many exciting things to explore, such as Ben Thanh Market, the War Remnants Museum, and China Town, but you should also make time to visit the Cu Chi Tunnels, and the Mekong Delta. If you still crave more beach after making your way down the coast, head to Vung Tau which is only two hours away and famous for their seaside pancakes, banh khot, or even better, go to Mui Ne, which actually has sand dunes, believe it or not. 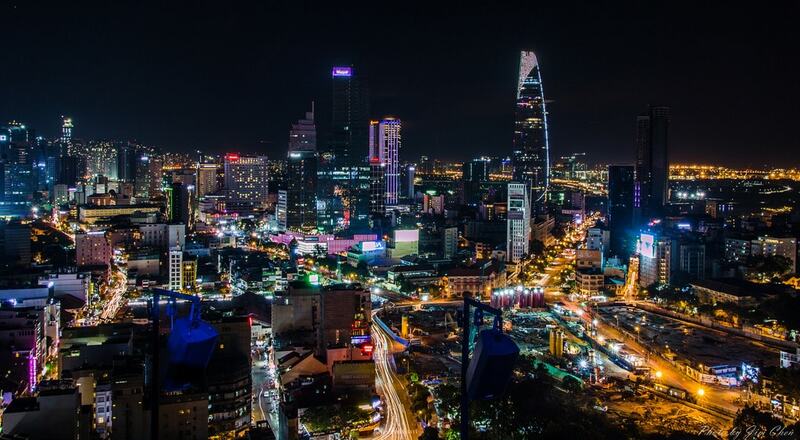 If Ho Chi Minh City is your last stop, head to one of the famous rooftop bars, and end your journey with a brilliant panoramic view of the city that never sleeps, while reminiscing about the amazing journey you just had.